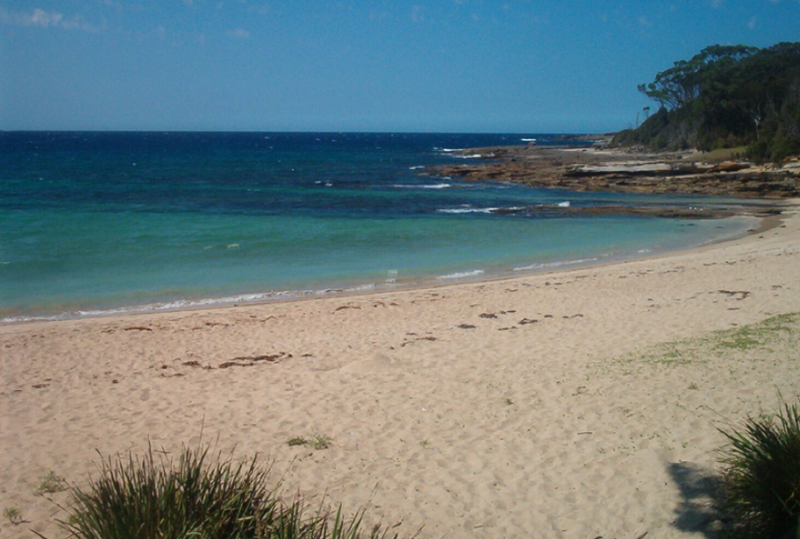 The beautiful Mill Beach is just steps from NRMA Murramarang Beachfront Resort. All images supplied by author. 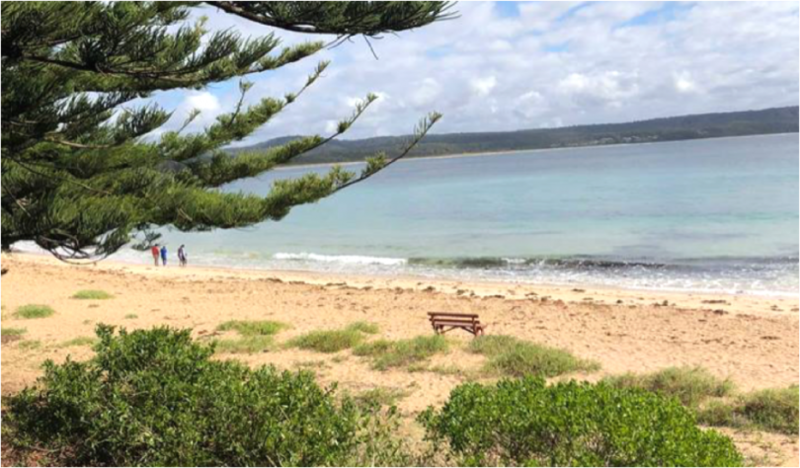 It’s the perfect time to make the trip down Clyde Mountain and hit the beach for a seaside escape, and this week we have just the place if you’re keen to extend your day trip for a longer beachside break. 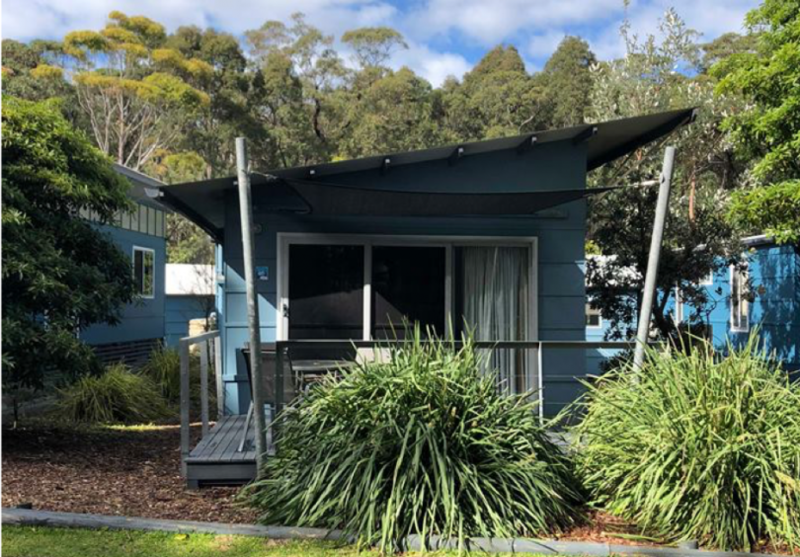 NRMA Murramarang Beachfront Holiday Resort is at South Durras, just 15 minutes from all the shops, eateries and facilities of Batemans Bay in a pristine national park with absolute ocean frontage to the beautiful Mill Beach. Once you’re at the resort, you’ll find just about everything you need, so you won’t need to leave – and you probably won’t want to. There’s an onsite kiosk with all the basics, fabulous swimming areas, a relaxed poolside bistro, takeaway food which you can eat by the pool, take back to your accommodation, or enjoy on the beach, bar facilities that make it easy to grab a cocktail by the pool, and plenty more. When it comes to accommodation, take a look at the range of options available. There are leafy forest cabins, garden villas, beach villas and ocean villas, plus there are large grassy areas for powered or non-powered sites. Villa at NRMA Murramarang Beachfront Resort. There’s lots to explore in the resort and beyond, and you can access the Murramarang National Park from right outside the resort. The resort is the perfect place to ride your bike, so remember to bring your pushy. Murramarang is home to resident kangaroos – lots of them, and they’re great with kids and don’t mind getting up close to visitors. Don’t be surprised to find them on your doorstep in the morning or right outside your tent if you’re camping. The national park is home to Old Blotchy, a massive tree said to be the second biggest spotted gum in the world, with a diameter of around 3 metres. There’s a well-set-up playground where you can let the kids loose, and when they’ve had enough of that, you can hire trikes, bikes or go-karts at the office. The beautiful beaches are close by and they’re a haven for surfers, bushwalkers and nature lovers. Take some kayaking or surfing lessons – check out Bay and Beyond’s Sea Kayak Tours or Soulrider Surfschool. Bring your fishing rod and catch yourself some dinner. Some of the cabins are just steps from the beach, so you won’t need to go too far. Explore the coastline of the marine park nearby, where you’ll find another long and often quiet beach. Don’t miss exploring the rock ledges at Mill Beach. There’s a mini-waterpark and large pool in a garden setting for when you’ve had enough of the sand and waves. NRMA Murramarang Beachfront Resort is in Banyandah St Durras and it’s an easy drive from Canberra. Head towards Batemans Bay via the Kings Highway through Queanbeyan, Bungendore and Braidwood, until you reach the big roundabout with the Princes Highway. Head north, driving for about 15 minutes until you come to the turnoff to South Durras. Follow this road through gorgeous national park for about 8 km until you come to the sleepy town of South Durras, then follow the signs to the resort. Explore the rock platforms in Murramarang National Park. Any time of year is great for a visit to Murramarang. If you’re keen on entertainment, kids club, and organised fun, then summer and during school holidays is the best time to make the most of what the resort has to offer. Spring is a perfect time for exploring the tracks around the park when the weather is mild and the water sparkling. In summer, add some swimming or water sports to your adventure when the water is warmer. Winter is a good time for birdwatching, especially in the park’s rainforest areas.